'Weight loss supplements' are substances with a significant amount of research indicating that they have the potential to improve BMI, boost metabolism, increase lipolysis, or to decrease waist circumference. Considering the epidemic of obesity in America and across the world, there is growing interest in supplements for weight. There are many companies that offer 'magic bullet' pills and capsules to help you lose weight instantly. In this article, we cover the top 6 natural weight loss supplements to help maintain a good figure. These supplements are not magic bullet pills but have solid research showing their use in maintaining healthy weight. Disclaimer: Health supplements are intended to accompany a healthy diet and lifestyle. They are not intended to be used as a medical treatment for any disease or ailment. The best and most effective method to improve your weight is by following a healthy diet and getting regular exercise. Taking these supplements may improve your results when you are on track with a good diet and healthy exercise. By far one of the most powerful natural weight loss supplements available today is Green Tea Extract. Green tea is an ancient Eastern drink and is considered a fundamental part of many Asian cultures. It has been used for thousands of years to help improve weight and focus. Today, tea is the second most consumed drink on Earth. What’s first? Water. Green Tea Extract for weight loss is comprised of important compounds called catechins and polyphenols. Green tea itself is high in caffeine, but most supplements are comprised of caffeine-free Green Tea Extract. Catechins have been found to have a positive effect on reducing weight and improving BMI. Polyphenols and catechins like ECGC have many other important health benefits like improving cardiovascular health, antioxidant effects, cancer chemoprevention, and protecting your skin from sun damage. Read up on how to take Green Tea Extract for weight and metabolism! Scientists have found that Green tea with caffeine is a powerful combination for targeting fat and helping to maintain a healthy weight. Researchers have indicated that a green tea-caffeine combination helps to increase your metabolism and burn fat without affecting muscle mass. Taurine is a ‘nonessential amino acid’ that helps you to maintain a healthy weight through a number of mechanisms. It is one of the most used weight loss supplements today and is a major component of many energy drinks. One of the most important effects of Taurine is its ability to improve glucose metabolism. Most Western diets are far too high in sugar (glucose). The high glucose levels in our diets have been proven to cause a number of diseases including type 2 diabetes, obesity, metabolic syndrome, and heart disease. Taurine supplements lower blood glucose levels and help to promote a healthy weight. A Japanese study found that teenage girls with higher levels of Taurine in their blood tended to have better blood lipid profiles – a significant marker of metabolism and weight. A Brazilian study found that Taurine helped to reduce inflammation and fat burning in both obese and healthy women. Before the study started, researchers noted that the obese group had significantly lower blood Taurine levels than the healthy group – indicating that Taurine may play a role in maintaining a healthy weight. Taurine is not only one of the most powerful natural weight loss supplements but is also one of the best health supplements available. It helps to maintain a number of your body’s most important functions. These include osmoregulation (control of water and salt concentrations), improving your immune system, and helping to produce bile (thereby reducing pressure on your liver). Caffeine is by far the most widely used energizing supplement on Earth today. Consumed in the form of coffee, caffeine has become the second most valuable legal commodity available – second only to gold! And it’s not hard to tell why. Caffeine has powerful energizing, stimulating, and focusing effects. This is why most people consume caffeine. However, a lot of people don’t know about caffeine’s high place on the list of potent weight loss supplements. A PubMed search of ‘caffeine weight’ brings up over 2400 results! Clearly, this is a very well researched subject. An example: researchers found that as little as 100mg of caffeine significantly increased the metabolic rate for both healthy and obese volunteers. The caffeine supplement improved thermogenesis (heat production in the body – a sign of fat burning) in the obese volunteers. The results indicate that, even at low doses, caffeine has exciting effects! The best thing about caffeine is that it has other effects that can help with weight-loss. Like, for example, increasing your physical endurance levels. Or by boosting wakefulness and mental alertness. Both of these effects help you to get up and about – promoting a healthy heart and a healthy waistline! Berberine is a health supplement extracted from a number of plant sources that are mainly found in Asia. It is a powerful compound for maintaining healthy blood sugar levels, blood pressure levels, and promoting a strong circulatory system. Berberine may also have powerful anti-inflammatory effects. The only question we have about Berberine is – why aren’t more people taking it? Berberine is a weight loss supplement where we list its ability to help with weight as a secondary function. Not because it doesn’t do much for your weight – it is actually very powerful – but because it has so many other amazing health benefits that are incredibly important! That being said, almost every human study using Berberine to-date has found a significant decrease in Body Mass Index (BMI) for the participants. One example was a clinical trial on 24 patients with metabolic syndrome found that Berberine supplements resulted in a significant decrease in weight circumference, blood pressure, and triglycerides. Another study found that Berberine’s action is to prevent fat cells from maturing. Deep in your body, Berberine helps to inhibit fat cell enlargement, making it much easier to maintain a healthy weight. Scientists have also found that Berberine helps prevent your liver from accumulating fat, helping to maintain a healthy BMI. Myo-Inositol is another of our top weight loss supplements. This wonderful supplement is specifically beneficial for women – especially women who suffer from hormone disorders like PCOS. Multiple studies have confirmed the efficacy of Inositol in maintaining healthy hormone levels, improving fertility, boosting mood, and helping with weight loss. Myo-Inositol is not only great for PCOS but is also a great supplement for improving mood and reducing stress. 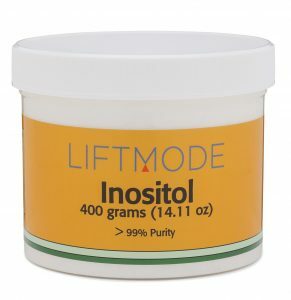 Scientists have found that higher doses of Inositol can help produce powerful calming and relaxing effects. Myo-Inositol users often report feeling these effects even at very low dosages. A clinical trial on 92 female patients with PCOS reported that 4 grams of Myo-Inositol with 400mcg folic acid over a 14-week period improved an amazing number of factors. Most importantly, a significant weight loss occurred in the group receiving Inositol, while the placebo group actually gained weight. Inositol works in a number of ways in your body. It also produces a great number of beneficial effects, which you can read about in our new blog post. With regards to weight loss, Myo-Inositol is important because it is a secondary messenger in insulin signaling. Insulin helps to remove excess glucose (sugar) from your body. Supplementing with Inositol appears to increase insulin sensitivity, triggering your body to remove more glucose. Caffeine, Taurine, and Myo-Inositol are great for promoting a health weight! L-Tryptophan is best known for its powerful mood-boosting effects. This amino acid is great for relaxation, promoting healthy sleep and reducing feelings of stress. L-Trytophan is a precursor to the hormone serotonin, commonly thought of as the ‘happiness hormone’. Higher levels of serotonin often correspond to an increased mood. Apart from being considered a serotonin supplement another of L-Tryptophan’s benefits is its apparent ability to suppress appetite. Studies have found that people taking L-Tryptophan tend to have decreased appetites, especially for carbohydrates. Carbohydrates are our source of energy. We tend to consume carbohydrates in the form of cereals, wheat-based products (breads and baked goods), rice, and corn-based products. Vegetables are also high in carbohydrates. Carbohydrates are essential for the proper functioning of your body. However, too many carbohydrates that we eat today are rich in saturated fat and sugar. Carbohydrates are broken down into glucose, which is used as energy. Energy that is not used is stored as fat. A clinical study found a statistically significant correlation between L-Tryptophan and lower carbohydrates consumption. The study also showed that it was dose-dependent. So, the more L-Tryptophan consumed, the less carbohydrates the participants ate. In conclusion, we’ve worked through 6 of the top natural weight loss supplements available today. From Green Tea Extract to amino acids like L-Tryptophan, each supplement has its own method of helping you to maintain a healthy weight. The best thing about using natural weight loss supplements is that they all also confer additional health benefits. To learn more about them, check out our product catalogue. Weight loss supplements are a great addition to a healthy lifestyle and diet. We need to mention again that dietary supplements do not treat, cure, or diagnose any disease or ailment – including obesity or being overweight. For more information about making healthy lifestyle changes stay tuned to our newsletter for our future blog posts! Weight loss supplements are great, but a healthy diet and lifestyle are even more important! DG Nagle et al., “Epigallocatechin-3-gallate (EGCG): Chemical and biomedical perspectives”, Phytochemistry. Author manuscript; available in PMC 2010 Jul 13, Phytochemistry. 2006 Sep; 67(17): 1849–1855. AG Dulloo et al., “Normal caffeine consumption: influence on thermogenesis and daily energy expenditure in lean and postobese human volunteers”, Am J Clin Nutr. 1989 Jan;49(1):44-50. J Yang et al., “Berberine Improves Insulin Sensitivity by Inhibiting Fat Store and Adjusting Adipokines Profile in Human Preadipocytes and Metabolic Syndrome Patients”, Evid Based Complement Alternat Med. 2012; 2012: 363845.Journal, ournal ns for Berberine"nter, available online, retrieved on 9 Febs, but have solid research showing their potential. HM Yan et al., “Efficacy of Berberine in Patients with Non-Alcoholic Fatty Liver Disease”, PLoS One. 2015; 10(8): e0134172. J Levine, “Controlled trials of inositol in psychiatry”, Eur Neuropsychopharmacol. 1997 May;7(2):147-55. S Gerli et al., “Randomized, double blind placebo-controlled trial: effects of myo-inositol on ovarian function and metabolic factors in women with PCOS”, Eur Rev Med Pharmacol Sci. 2007 Sep-Oct;11(5):347-54. SN Young, M Leyton, “The role of serotonin in human mood and social interaction. Insight from altered tryptophan levels”, Pharmacol Biochem Behav. 2002 Apr;71(4):857-65. JC Halford et al., “Serotonin (5-HT) drugs: effects on appetite expression and use for the treatment of obesity”, Curr Drug Targets. 2005 Mar;6(2):201-13. TJ Horton et al., “Fat and carbohydrate overfeeding in humans: different effects on energy storage”, Am J Clin Nutr. 1995 Jul;62(1):19-29. H Cavaliere, G Medeiros-Neto, “The anorectic effect of increasing doses of L-tryptophan in obese patients”, Eat Weight Disord. 1997 Dec;2(4):211-5.